Be your own director and photographer! 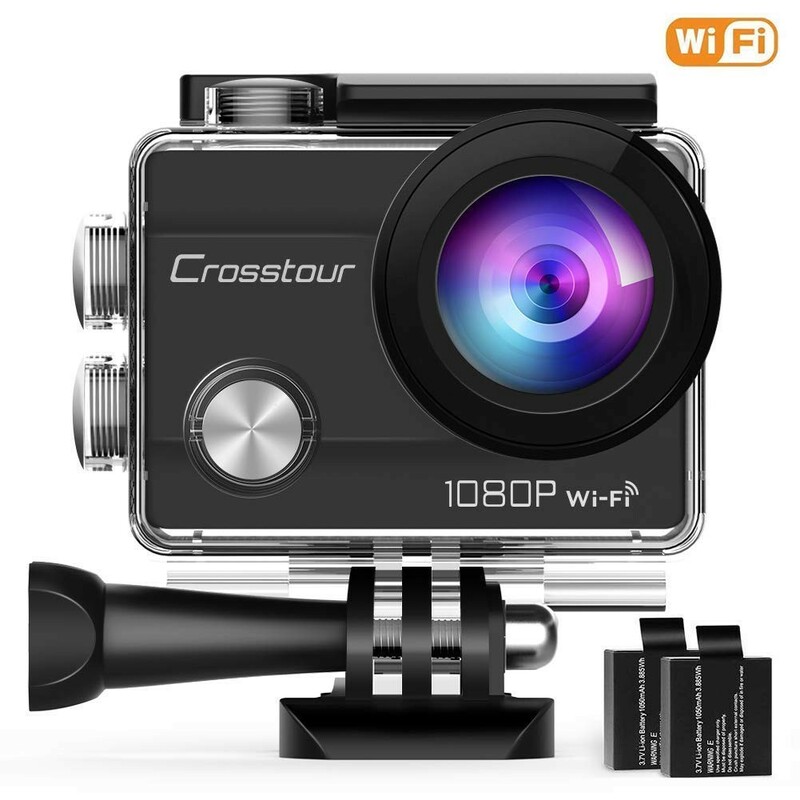 Crosstour 1080P Sport Camera, the best Gopro alternative! 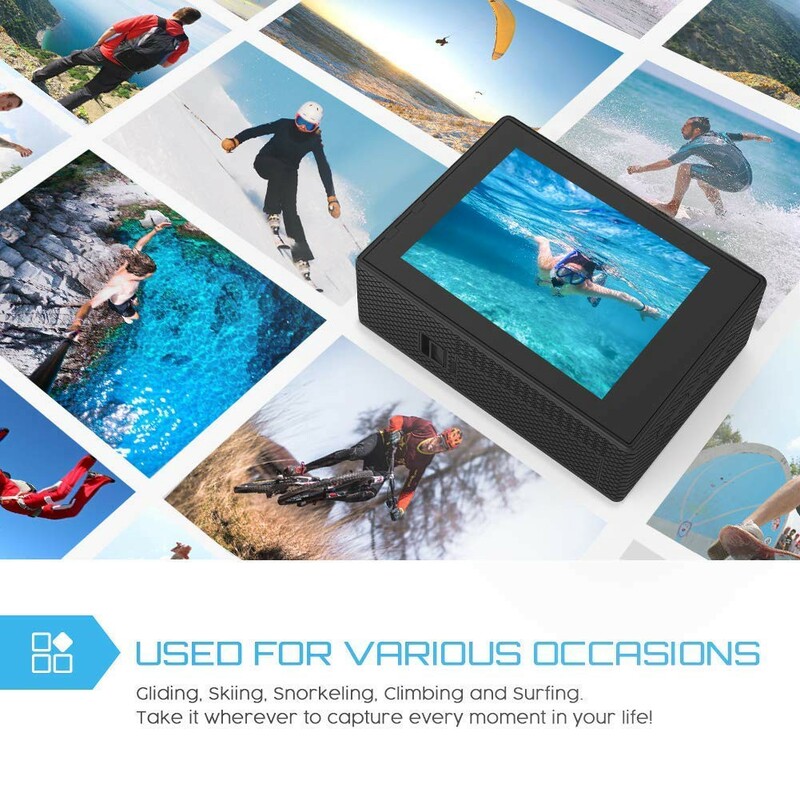 *Great Companion of Your Daily* — 1080P Full HD video resolution and built-in microphone vividly record your precious memories with friends, kids and pets. Whether in the air, on land or in the water. 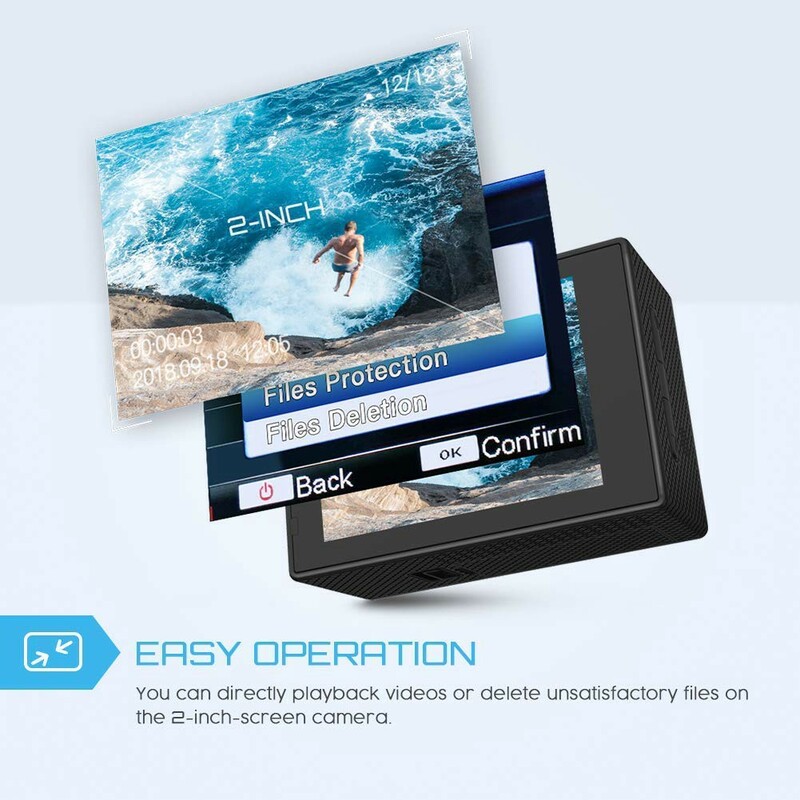 *Simply Process Videos and Photos* — You can directly playback videos or delete unsatisfactory files on the 2-inch-screen camera, don’t need to worry about the full memory of micro SD card during your trip. 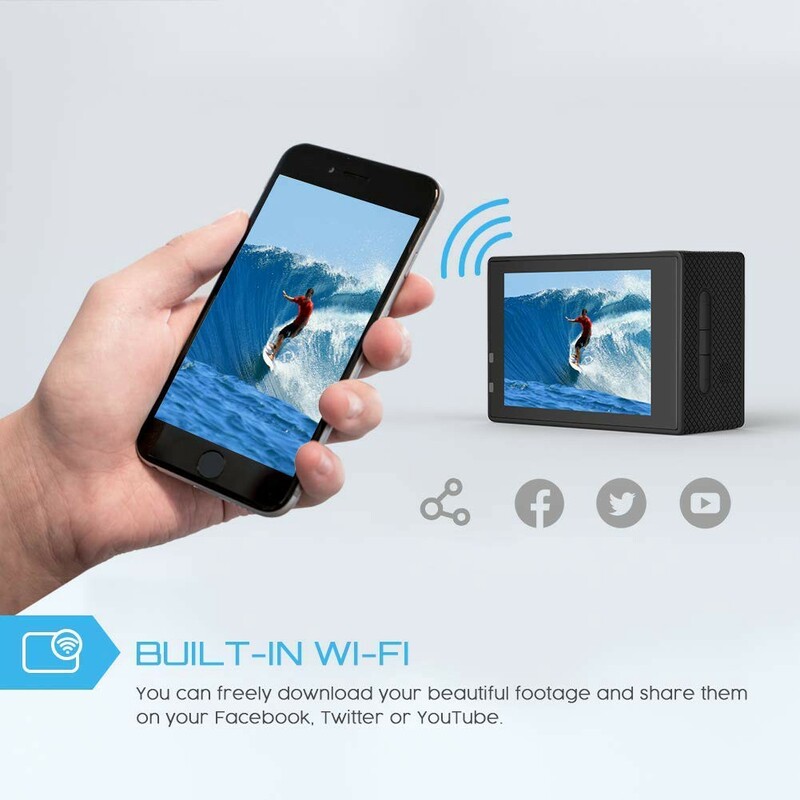 *Share Your Beautiful Footage* — Control it in “iSmart DV” app on your phone via Wi-Fi, freely download your beautiful footages and share on your Facebook, Twitter or Youtube. You can also stream real-time video through micro HDMI port. 12MP and 1080P resolutions can ensure you shoot high quality images and videos easily. The 170 ° wide-angle lens lets you shoot larger scenes and capture more incredible moments in your life. It’s a perfect alternative of GoPro. And it will be a wonderful Christmas gift as a kids’ GoPro. 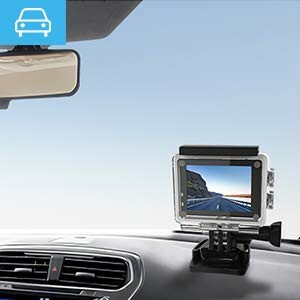 Crosstour CT7000 Action Cam is so advanced that it can also be used as a Dash Cam. In this mode you can record videos, pictures and sounds while driving. This supports you in particular in case of accidents or parking lot offenses. The evidence and the finding of a perpetrator is significantly simplified. Have fun in the extraordinary underwater world. With the solid waterproof case, you can go up to 30M underwater. Excellent companion for water sports such as swimming, diving, surfing, snorkeling, etc. Perfect for water sports enthusiasts. 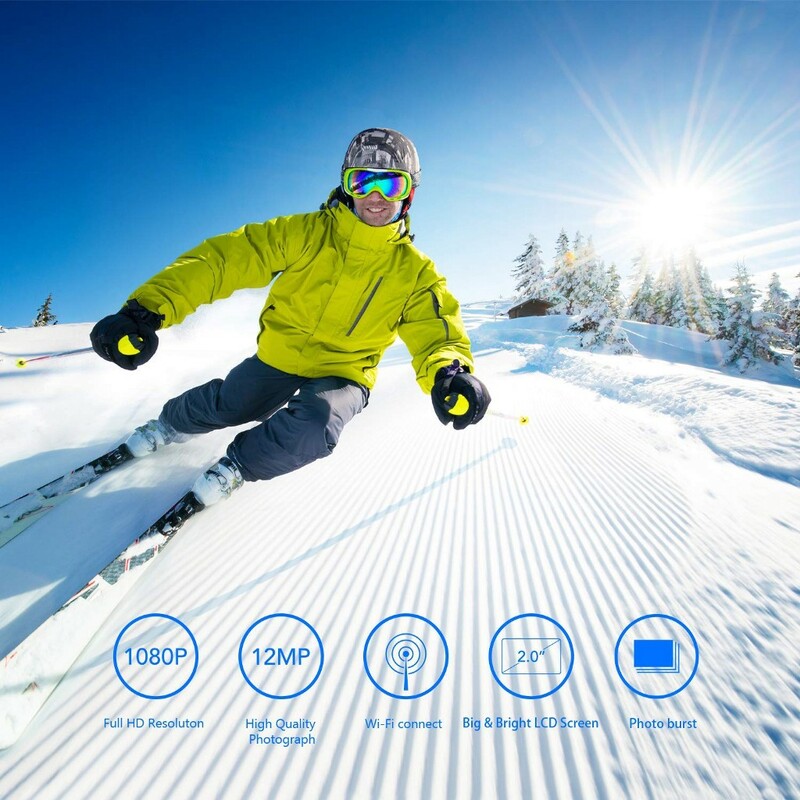 The waterproof case can be suitable for your ski board helmet when you are skiiing. Use the iSmart DV app to take pictures, change modes, and stop or start recording your camera. You can also upload photos and videos to your phones and share them on your social media without having to transfer them to a computer. After setting the time interval, the camera will actomatically take 1 or 2 frames when the set interval is finished. 3/5/10 photos can be taken continuously after pressing the OK button once. Therefore, you can easily capture movement traces. 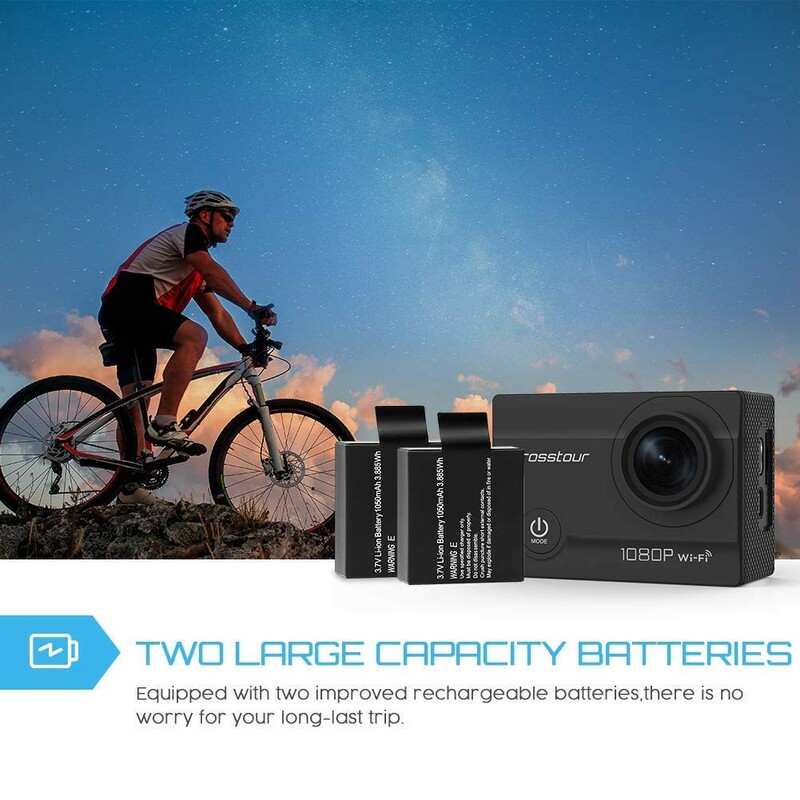 The CT7000 Sport Camera comes with 2 x 1050mAh rechargeable batteries. A battery can record about 90 minutes. You will not miss a precious moment during the recording. 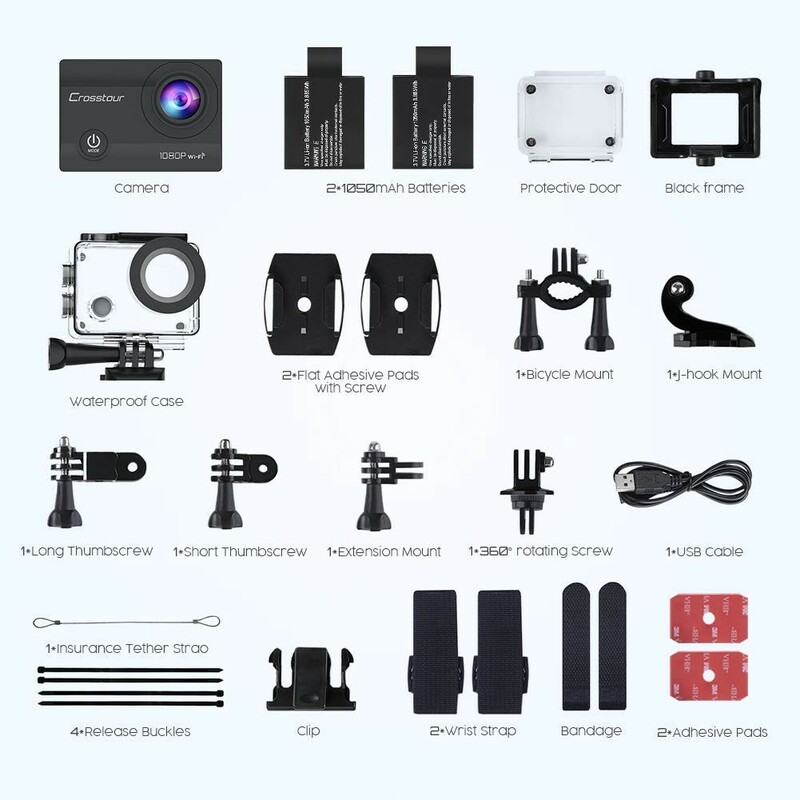 Crosstour CT7000 Action Cam comes with 18 multifunctional accessories that allow for a very simple monthage on various parts, such as bike, motorcycle helmet or even on the wrist while diving or running. Most are compatible with Gopro.